Everybody’s favourite Autumn season is coming again this September to November! 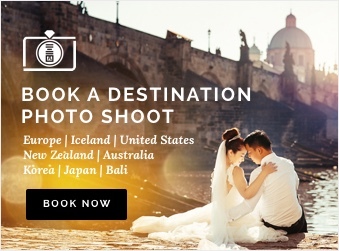 Japan is no doubt one of the front runners when it comes to choosing a destination pre-wedding photoshoot to capture the stunning Autumn foliage. 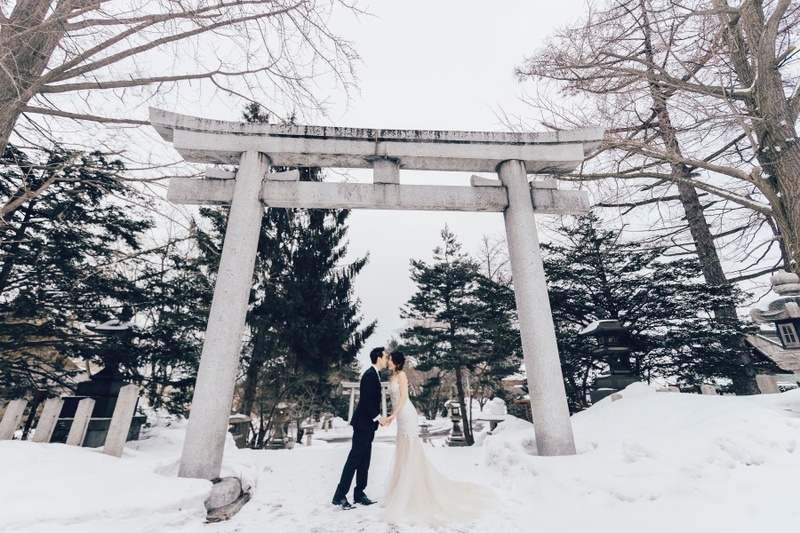 Here are the top 9 places to experience the overwhelming beauty of Fall in Japan during your pre-wedding photoshoot in Japan. I promise it looks a million times more beautiful in real life! Oze National Park is around 4 hours drive away from Tokyo and Autumn is the time when the expansive Ozegahara Marshland turns into a carpet of golden! This is the most popular hiking trail and the majestic Mount Hiuchigatake and Mount Shibutsu provide a stunning backdrop too! The Nagatoro Valley is such a gorgeous sight that tourists all over the world would take a day trip just to admire its Autumn brilliance. The warm colours of fall at the sides of the valley provide the perfect contrast to the peaceful river that flows in between the valleys. Shosei-en Garden is definitely the most picturesque public garden in Kyoto. Located in the heart of the popular Gion District, it is a must-visit during Autumn! You will be awestruck by the thousands of vibrant colours that welcome you at every corner. If you are not planning to stray too far from the capital city, the Showa Memorial Park one hour away from Tokyo, makes a fine location for Autumn viewing. This park has received lots of praises from tourists across the world for its spectacular scenery that you will never grow tired of. The most visited park in the whole of Nara is definitely the Nara Deer Park. It is mesmerising across all seasons and even more so with the adorable free-roaming deer that make such wonderful companions. You will come across some of the reddest maple leaves in the whole of Japan! This is quite a hidden gem as not many people explore the Hozu River by foot. It is more popular for its boat rides that bring you sightseeing around this scenic part of Kyoto. You will be amazed by how blue the waters are, which makes such an unbelievable backdrop when coupled with the different hues of red Autumn leaves! Not many tourists explore the sights around Nikko as there isn’t much to do besides sightseeing. However, this makes it an even greater place to escape from the hustle and bustle of the city and simply enjoy the beauty of Nature. The Sengokuhara pampas grass fields need to be on your bucket list! These fluffy silver grass spreads out across the whole foot of Mount Hakone and you can enjoy a breezy walk amidst this dreamy backdrop. For those who do not wish to leave Tokyo, this is the place to be! Shiba Park is a lovely park in the heart of Tokyo where you can catch a perfect view of the iconic Tokyo Tower. You can also head to the nearby Zojoji Temple to experience the rich historic culture of Japan! 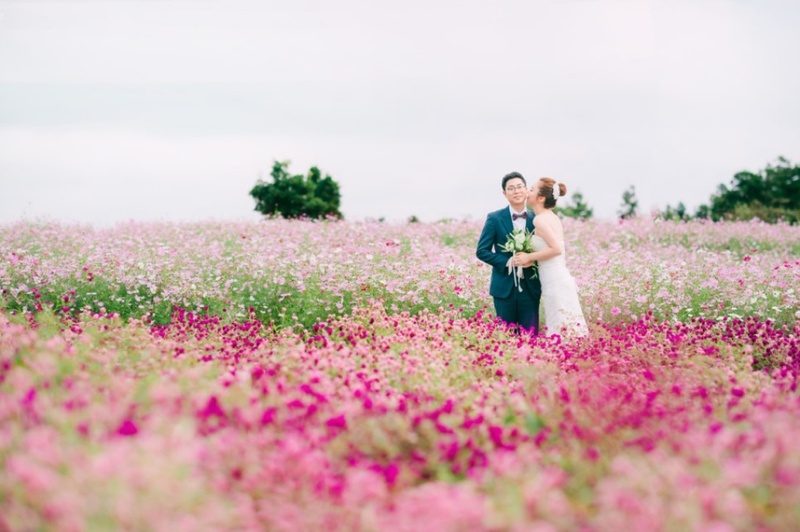 Are you planning to visit Japan for a pre-wedding photoshoot during this stunning season? We serve many beautiful cities in Japan, Tokyo, Kyoto, Osaka, Nara and Hokkaido. we know all the hidden gems to bring you to to experience the best of Autumn! 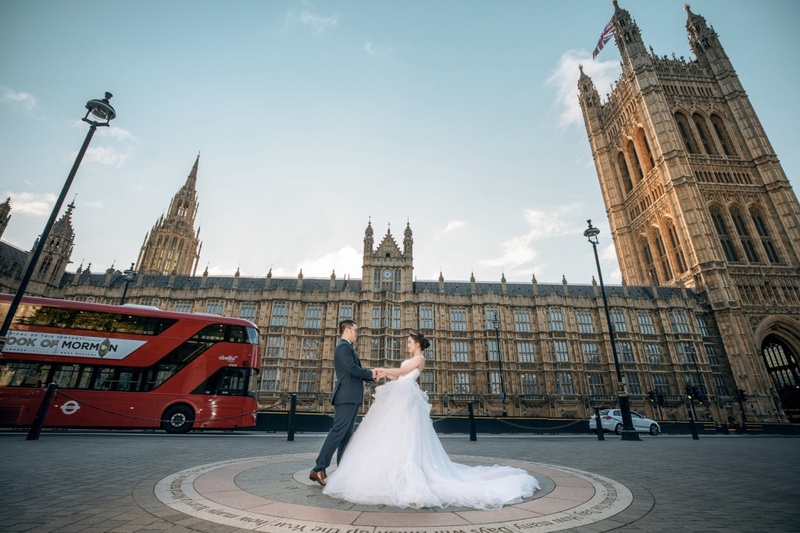 Head over to our website to find out more about our affordable package prices! If you are planning to have a kimono shoot, you can also check out our Comprehensive Guide To Kimono Rental And Photoshoot.